>> See all pictures of the Gig! 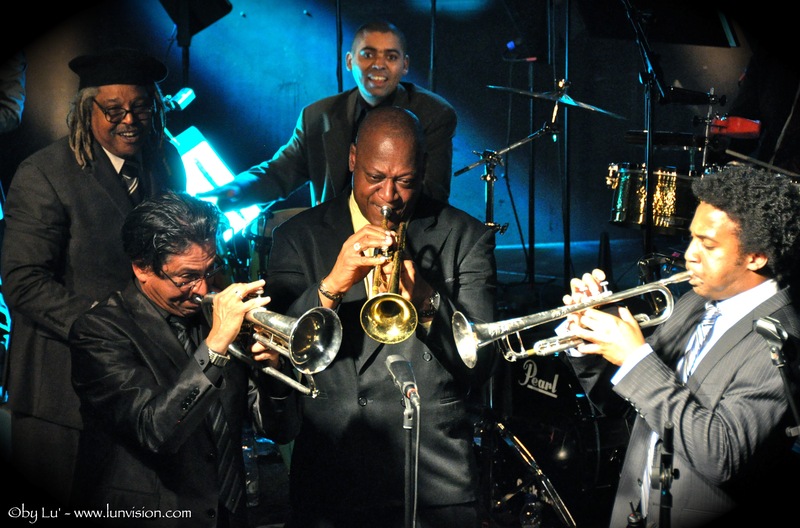 What a musical experience it was to see the incredible Afro Cuban All Stars @ den Atelier Luxembourg on May 2011, the 25th!! Musically speaking, they were with us and as were we!! Den Atelier was alive that night and thanx again to these real masters who gave us good rhythm, laughs, energy, passion and good feelings! The passion of music has been transmitted over years, and the younger musicians being part of the Afro Cuban All Stars’ band, and playing with Juan ..well it was awesome! But not only! They also showed us that african rhythm and music can completely fit with cuban style 😉 Different rhythms full of ..love and peacefulness in the end . A pure moment! Revitalizing! Pictures have been taken with a Nikon D90 18-200VRII – first gig at Den Atelier with a reflex! Thanx again to the promoter of the gig, LCTO.